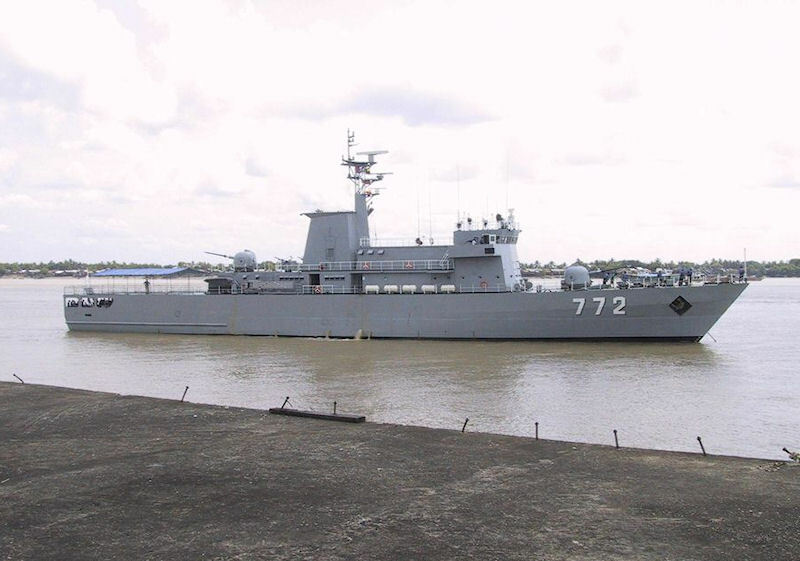 Myanmar's military leaders had long wanted to acquire two or three frigates to replace the country's obsolete PCE-827 and Admirable-class corvettes, decommissioned in 1994, and its two 1960s-vintage Nawarat-class corvettes, which have been gradually phased out since 1989. As military ties with China rapidly grew during the 1990s, the SLORC hoped to buy two or three Jiangnan- or even Jianghu-class frigates, but it could not afford even the special 'friendship' prices being asked by Beijing. As a compromise, Myanmar purchased three Chinese hulls, and in 2000 began to fit them out as corvettes in Yangon's Sinmalaik shipyard. Despite a European Community embargo against arms sales to Myanmar, the ships' main guns were imported (apparently through a third party) from Italy. Jane's described Israel's main role in "fitting out the three corvettes is apparently to provide their electronics suites." The United States did not impose trade sanctions until 2003. 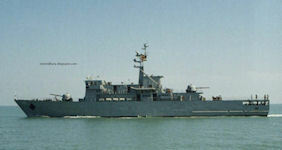 Near the end of the 1990s, the Sinmalaik Shipyard located in Rangoon managed to build a 77m-long and 1105-ton displacement warship - a corvette that gave the Myanmar Navy for the first time a helicopter deck-equipped vessel and an overall ship design that looked poised to take the fleet beyond the territorial waters into the country’s EEZ. Initially designated the Sinmalaik class, by virtue of its shipbuilder, the corvette was actually a larger hull equipped with a helicopter deck but no hangar facilities but the remaining combat systems did not represent a significant leap beyond what the Myanmar Navy already possessed in its inventory. 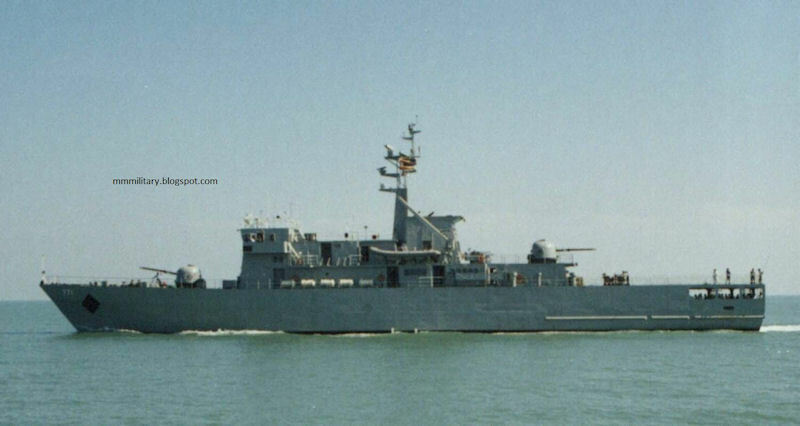 Later designated the Anawrahta class, the ship was armed with a 76 mm dual-purpose gun of Italian OTO Breda design-a huge step beyond the inventory of mainly manually-operated and lower-calibre gun armaments-and OTO Breda 40 mm close-in weapon system (CIWS).